The Catholic “Kitchen Cabinet” is a veritable who’s who list of respected American Catholics and Jesuits, or rather Jesuit trained people. 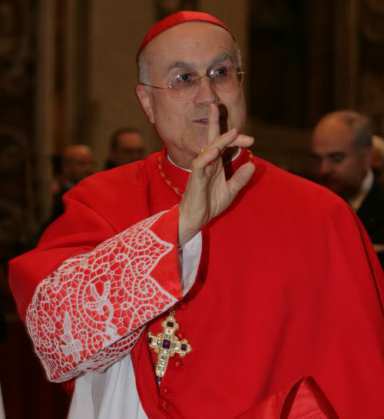 They include Roman Catholic congressmen and women, educators at Jesuit universities, governors, senators, representatives and others who were chosen partly because of their close connections to Rome. They include Senator Bob Casey, Governor Tim Kaine of Virginia, Representative Patrick Murphy, Senator Ted and and his wife Victoria Kennedy, Senator Richard Durbin, Senator John Kerry, Senator Patrick Leahy, Representative Xavier Becerra, Representative Mike Capuano, Representative Lacy Clay, and a list of authors, educators and others. The vast majority of them were trained at Catholic schools, and many of them at Jesuit institutions. The list of institutions where they were trained or where they teach includes Catholic and Jesuit schools like Georgetown University, Boston College, Loyola University, College of the Holy Cross, King’s College, Marquette Law, University of Notre Dame, Trinity Washington University, Loyola Marymount University, Xavier University and Catholic University of America. The list is long. A number of these people have a history of working with the Jesuits very closely. One comment that was posted in response to this article said “All the Jesuits are, fittingly, in pectore, which is Latin for “in the breast” or “in the heart.” In other words, they are not revealed. They are hidden if they are there. The Jesuits pride themselves in stealth. They may well be in this advisory committee, but no one would know it except perhaps fellow Jesuits. They can be disguised as lawyers who have become senators and representatives, or others. According to prophecy, they are actively seeking to advise national leaders to benefit the power of Rome. In addition to this “Kitchen cabinet,” some of Obama’s key officials in his campaign and now his presidency included his top speechwriter, Jon Favreau, who trained at the College of the Holy Cross in Worcester, Massachusetts, the oldest Jesuit College in New England. Who knows, he might even be a Jesuit disguised as a speechwriter. Dan Pfeiffer, who was Obama’s Deputy Communications Director during the campaign, and continues in the same position at the White House, graduated from Georgetown University too. Rome may well have significant influence over Obama’s communications. Obama would find it very useful to have such influences if he wants to minimize any potential conflict with Rome. So it is in his political best interest to have them. Also it should be mentioned that His senior Military and Foreign Policy Advisor was Major General Jonathan Scott Gration, a fighter pilot whose masters’ degree is from Georgetown University, the oldest Jesuit institution in America. He has been asked by Obama to. You may be aware that the new Pope Francis is the first Jesuit Pope to rule the Vatican in 600 years after his great stint as Archbishop in Argentina during it’s Bloody War, that killed tens of thousands of his own parishioners while he remained silent. “Washington’s Pope”? Who is Pope Francis? 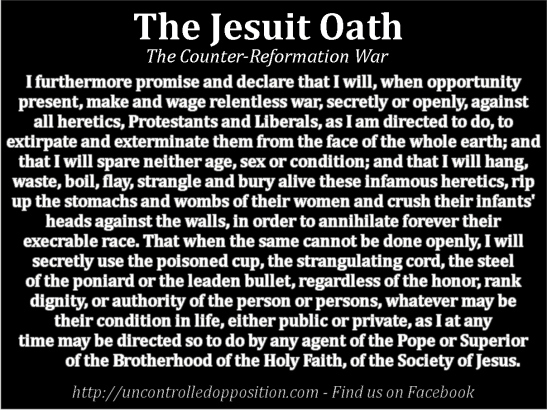 “A past president of Jesuit Fordham University in the Bronx, Jesuit O’Hare is a PRESIDER of the CFR as is Knight of Malta David Rockefeller—the Black Pope’s most influential White Gentile American Cartel Capitalist and Central Banker. O’Hare was also responsible for putting papal “Court Jew” and CFR-member Michael R. Bloomberg into the mayor’s office of New York City. Yes, Freemasonic Jew Bloomberg is a “made man,” made by the Jesuit Power ruling New York. That is why Bloomberg fawned and groveled at the feet of sodomite Pope Benedict XVI when that man of sin arrived in America to converse with “Skull and Bonesman” President George W. Bush, the Caesar/Commander-in-Chief of Rome’s “Holy Roman” 14th Amendment, Cartel-Corporate Fascist, Socialist-Communist, Masonic American Empire. CFR Director Peter Ackerman is Chairman of the Board of Trustees at Freedom House, which is run by William H. Taft IV, a crony of Gerald Ford, a SMOM Papal Knight and 33rd Degree Freemason. Taft went to school with John Kerry, a Jesuit-trained 33rd Degree Freemason and Skull & Bones Papal Knight of Eulogia. Well, it gets even more incestuous and nefarious folks. 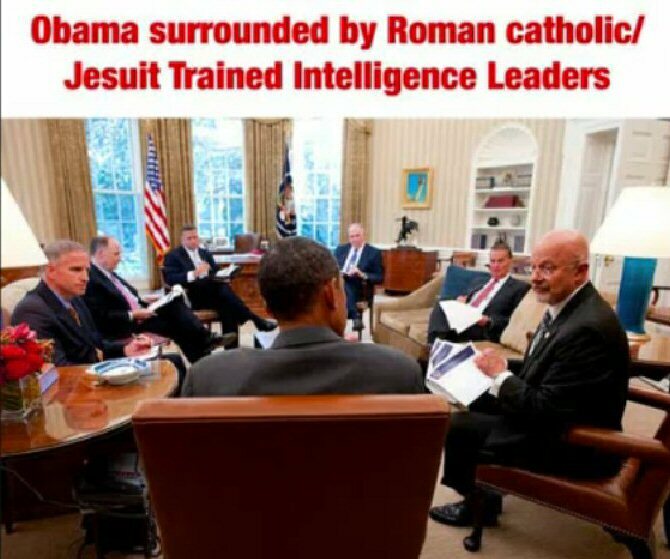 Joe Biden, a Roman Catholic, was put into office as Obama’s handler and is surrounded by Jesuit influence. 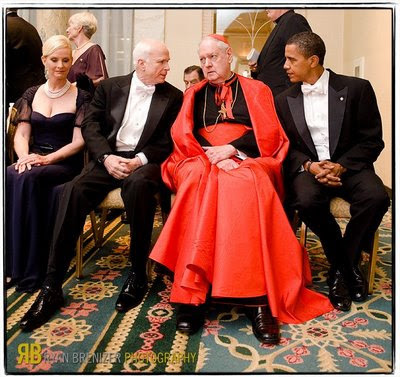 Obama does not make a move without approval and direction from these two-faced, lying, murdering Jesuits, truth be told.